An interesting conference on China and Africa (mainly Mozambique) in Maputo hosted by the Institute for Social and Economic Studies (IESE). Their website has links to some of the presentations and papers. Several are in Portuguese and the others are in English. I haven't read any, but I note that the impressive Sergio Chichava did a presentation on representations of China in the Mozambican press, and there is also a paper by the father of African studies in China, Li Anshan. Well done IESE. h/t to Lynn Salinger, reporting from Maputo. 1. On Friday, March 28, 9:00 am – 11:00 am at the Carnegie Endowment for International Peace, 1779 Massachusetts Ave. NW, the Sister Cities program will report on their China-Africa Initiative, with Lula Chen from Sister Cities, adviser Prof. Tang Xiaoyang from Tsinghua University, and others. 2. Friday evening, 28 March, 4th China-Africa researchers happy hour at Teaism, 400 8th St. NW hosted by Winslow Robertson, who publishes the blog Cowries and Rice, and a newsletter on China-Africa issues. For more information click here. 3. Prof. Graeme Smith from Australia National University will speak on China's Growing Aid Program in the Pacific: Cooperation or Competition with Australia? April 8, 2014 at 12:30 pm – 2:00 pm Johns Hopkins SAIS, Bernstein-Offit Building, Room 736, 1717 Massachusetts Ave. NW. Graeme has been doing fantastic research on China in the South Pacific. Many parallels with Africa. 4. Save the date for the SAIS China Africa Research Initiative conference on China's Agricultural Investment in Africa: 'Land grabs' or 'Friendship farms'? at the Johns Hopkins School of Advanced International Studies, Rome Auditorium, 1618 Massachusetts Ave. NW, Friday May 16, 2014, 9:00 to 5:30. Guest Post: China, Business, & Human Rights: "Inside Out"
“Inside out, and outside in, but not inside in.” According to John Ruggie, now the Berthold Beitz Professor of International Affairs at the Kennedy School of Government at Harvard University, this was the mantra that the Chinese offered as a way to steer Ruggie’s mandate as the Special Representative of the Secretary-General on human rights and transnational corporations and other business enterprises. Cryptic? Here’s the translation: It would be OK for Ruggie’s business and human rights mandate to address the behavior of Chinese companies doing business outside China (“inside out”), and it’s OK for foreign companies operating inside China (“outside in”), but it’s not OK for the Chinese companies operating in China, or “inside in,” as that is the exclusive domain of Chinese law and sovereignty. The output of Ruggie’s mandate (2005 to 2011) was none other than the UN Guiding Principles on Business and Human Rights (the GPs), an influential soft law instrument endorsed unanimously by the Human Rights Council, including China. As a soft law instrument, the GPs are not binding international agreements. On the other hand, they address all business activities, domestic and international. So how does the Chinese mantra on international and domestic trade and investment measure up against the GPs? 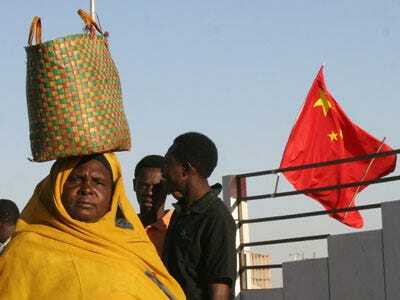 Is China providing trillions in aid to Africa? Apparently Mugabe's government in Zimbabwe thought so, and they were disappointed when their effort to reap a mere $30 billion in budget support fizzled in the face of the reality: Chinese finance is far more modest than this. Official aid is especially limited. 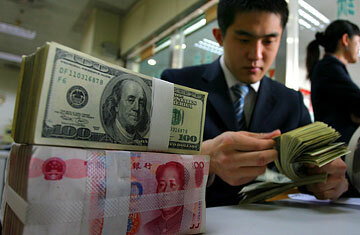 And unlike the West, China rarely gives direct budget support. When it does, the amount is generally tiny: $5 million. Give us bankable projects to finance, the Chinese told Mugabe's government. This is how Chinese finance operates: project finance, generally for infrastructure, or export credits, which can finance imports from China. Mugabe's government ought to know this. They've taken out Chinese loans for tractors and farming inputs. Our China-Africa loan database shows that the biggest loan from China to Zimbabwe was in 2007: $200 million for agricultural equipment. 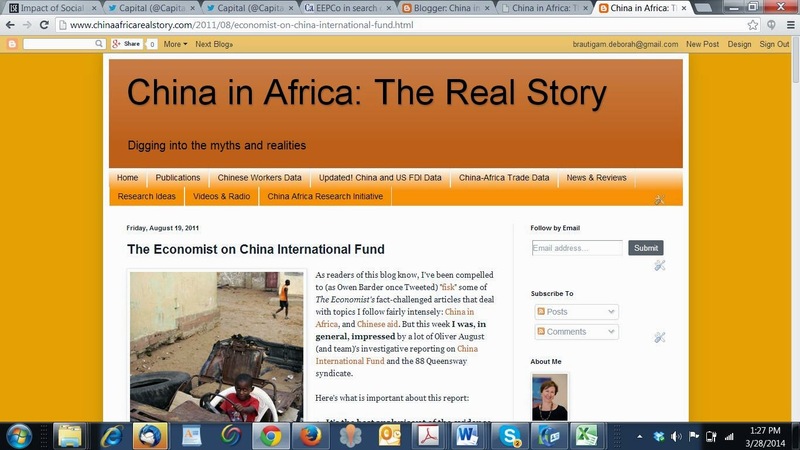 So what about those stories about a "trillion in Chinese finance for Africa" by 2025? Don't believe it. This would entail some $85 billion a year, up from current levels of about $10 billion. The absorptive capacity isn't there, nor are the "bankable projects" of that magnitude.